Helen Hadley was born on 25 March 1923 in Weber County, Utah, USA . On 6 June 1957, Helen, aged 34, married Dean Lamont Campbell, aged 36, son of Alfred Henry Campbell and Julia Rosetta Spendlove. She died on Friday, 24 July 2009, aged 86 years, 3 months and 29 days, in Mesa, Maricopa County, Arizona, USA . 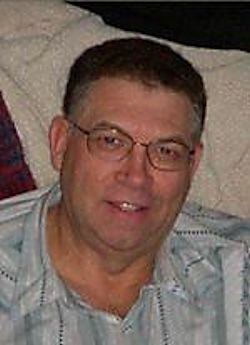 John Burdette Strupp, 58, of Rigby, died Monday, July 19, 2010. He was born April 10, 1952, in Rigby to Bud Lynn and True Campbell Strupp. He graduated from Bonneville High School and continued his education at Ricks College and ISU Vo-Tech. On June 15, 1974, he married Marilyn Hutchison, in Challis, Idaho, together they had 4 children. They later divorced. In April of 1998 he married Colleen Olson, they later divorced. He was a member of The Church of Jesus Christ of Latter-day Saints; he earned his Eagle Scout, and had been involved in scouting as a leader, at present he was a High Priest and was participating in a church choir. While in high school he was in Bonnevaires, he loved sports, especially basketball. He enjoyed the great outdoors, hunting and fishing. He loved a good hunting dog and will be missed by his dog Abby. John was an excellent marksman; he enjoyed spending time with family and friends, but most of all he loved being a grandfather and spending time with his grandchildren. He is survived by his father, Bud (Joyce) Strupp, of Rigby, daughters, Teresa (Dan) Peterson, of Portland, OR, Jessica (Nathan) Brinkerhoff, of Bountiful, UT, sons, Travis (Lacey) Strupp, of Jerome, ID, Justin (Kirsten) Strupp, of Idaho Falls, ID, sisters, Karen (David) Olsen, of Blackfoot, ID, Susanne (Don) Philips, of Ammon, ID, Kristie Keppner, of Idaho Falls, ID, Brenda (Dell) Olsen, of Logan, UT, brothers, Brad (Peggy) Strupp, of Crane, MT, Karl (Kim) Strupp of Shelley, ID, Brian (Karla) Strupp, of Baton Rouge, LA, Alan (Dava) Strupp, of Helena, MT, Layne (Heather) Strupp, of Blackfoot, ID, and 4 grandchildren. He was preceded in death by his mother, and a nephew. A funeral service will be held at 2:00 p.m. Saturday, July 24, 2010, at the Rigby 12th Ward LDS Chapel, with Bishop Ron Young, conducting. The family will receive friends from 7:00 p.m. to 8:30 p.m., Friday at Eckersell Memorial Chapel, 101 West Main Street, Rigby and from 12:30 p.m. to 1:45 p.m., prior to services at the church. Burial will be in the Ucon Cemetery, under the care of Eckersell Memorial Chapel in Rigby.